Last Tuesday marked the start of the 2019 Lunar New Year, often regarded as the largest holiday in many Asian cultures. On Feb. 7, amidst the ongoing celebrations, students from the University of Massachusetts’ Yuri Kochiyama Cultural Center traveled to the national East Coast Asian American Student Union conference in Florida for the first time. Among the group were Lily Tang, a sophomore political science major, Victoria Ung, a junior studying political science and Chona Lauyan, assistant director of the Center for Multicultural Advancement and Student Success. At the conference, roughly 50 workshops presented by college students from various universities across the East Coast were held. Tang and Ung’s workshop was titled “Asset Based Community Development,” also referred to as ABCD. “But what Asset Based Community Development does is sort of look at those marginalized communities and it see what their strengths are so they could build within the community themselves to create a sustainable community in terms of, it could be wealth, it could be education, instead of creating this narrative that there’s givers and there’s takers,” she added. She said that while it is a “laudable effort” for people to travel to other countries and go into marginalized communities, there needs to be more internal work. “We want [communities] to flourish through their own means, so that way it’s not perceived as them being helpless,” Ung said. According to Tang, the ABCD model could also be applied to student and community organizing by looking at a group’s strengths, rather than at where there are deficiencies. In attending the ECAASU conference, Tang and Ung each had ambitions and goals from their time among other API students from across the East Coast. Ung said she was looking forward to the diversity of topics in the workshops. “I think that’s really important because some of the topics were things that the Asian American Pacific Islander community doesn’t really touch upon, so I’m excited to not only learn things, but to sort of carry that knowledge back here,” she said. 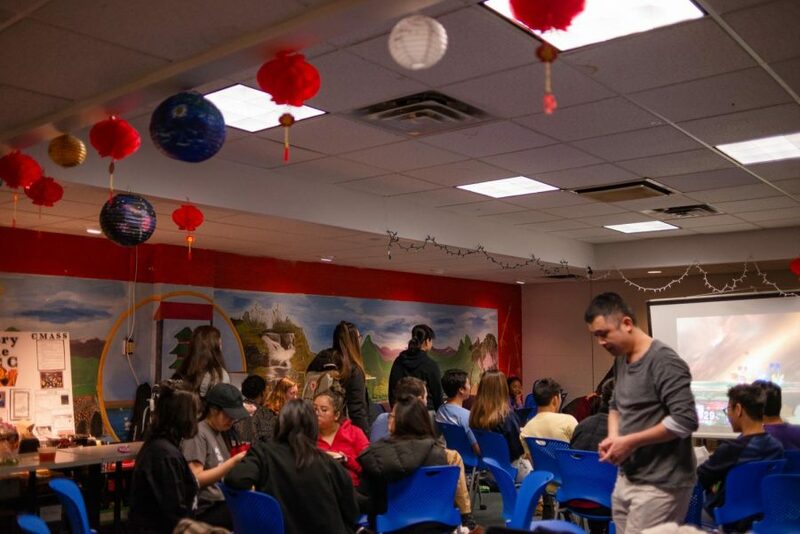 While Tang and Ung prepared and left for their journey, student organizers of the YKCC headquarters hosted a Lunar New Year celebration attended by roughly 50 guests. In accordance with the traditional Chinese zodiac, this year celebrated the “Year of the Pig.” Students in attendance at the event were treated to a variety of Asian cultural dishes, a raffle and games on the group’s Wii console. Despite sometimes being called “Chinese New Year” there has been a push recently to use the more broadly-encompassing umbrella term “Lunar New Year,” such as an SGA motion to change “Chinese” to “Lunar” in the UMass dining commons last year. In many Asian cultures the holiday goes by different names, each with their own cultural uniqueness, such as “Seollal” in South Korea, “Losar” in Tibet and “Tết Nguyên Ðán,” or simply “Tết,” according to the YKCC Lunar New Year event page. The YKCC’s move to be more inclusive was not lost on Vietnamese Student Association event coordinator My Huynh, who spoke about the partnership the VSA had in co-sponsoring the YKCC Lunar New Year celebration and the importance of representing all celebrating cultures. “I think this is [the VSA’s] first time doing a Lunar New Year event for every type of person that celebrates it. Before it was just the regular at the dining hall Chinese New Year celebration, this year they started calling it Lunar New Year, which is nice,” said Huynh. According to Huynh, Tết is normally celebrated over the course of three days and this year fell between Feb. 5 and 7. During Tết celebrations, Huynh also explained, there are certain superstitions to take note of in Vietnamese culture. Similar to other Asian cultures, Huynh said that older members of Vietnamese families give out red envelopes of “lucky money” to younger members, bestowing a blessing upon delivery as well. Families then play a game in which they collectively gamble the lucky money, Huynh added. “So that means if you win, the more things you win, the more luck you have this year,” she said. In general, paramount aspects of Tết are coming together as a family no matter how far apart one is and paying respect to elders and ancestors. “Like Christmas here, you gather with your family. For them it’s like New Year’s, you gather with your family. Even if you’re working across the other side of Vietnam you have to fly or train back to your house… to be with your family,” said Huynh. 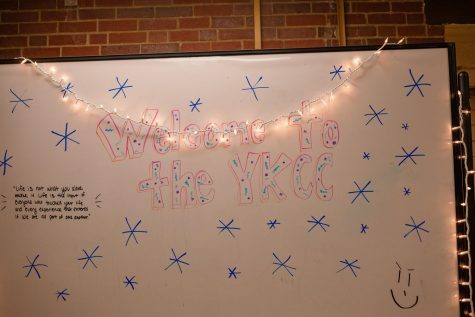 “Having an event at the YKCC makes me feel like people actually appreciate it and are willing to learn about different cultures, which I think is really helpful because it shows that, UMass specifically, that we want to welcome everyone, which is great,” Huynh concluded. Chan Kim, an event coordinator for the YKCC, echoed Huynh’s sentiments. Chris McLaughlin can be reached at [email protected] and followed on Twitter @ChrisMcLJournal.